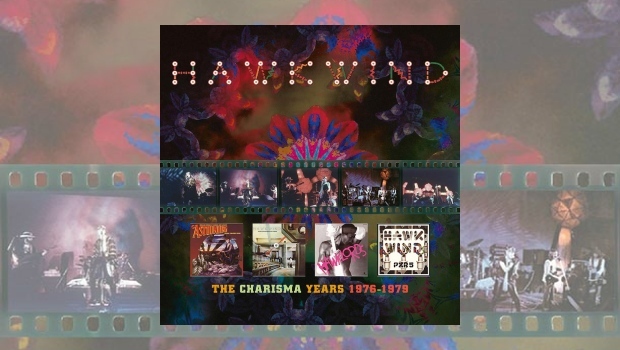 Hawkwind continue to have a long and interesting career, recently releasing their latest The Machine Stops album that proves their ability to provide consistent song writing. Here we have a box set re-release of four of their albums which were originally released during the latter half of the seventies on the once famous Charisma label. 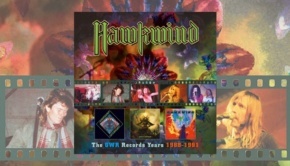 There is a school of thought that believes that Hawkwind’s creative peak was during their early albums, from the debut to Warrior on the Edge of Time, released during the early seventies; this I believe is not entirely true, they are a band that has evolved and changed with the musical times, but all the time maintaining the sound that makes them “Hawkwind”. Atomhenge, with Cherry Red Records, have released this clamshell box containing the original Charisma albums Astounding Sounds, Amazing Music (1976), Quark Strangeness and Charm (1977), Hawklords: 25 Years On (1978) and PXR5 (1979). Each one comes in a replica card sleeve with an illustrated poster, which has some rather odd fake adverts and the track listings on the other side. Although it is a very nicely presented set, there is a lot of information missing, the inclusion of such things as a listing of band members and what they played would have completed it. Thank goodness for the Internet! These recordings came after the band had undergone some personnel changes, most notable of which was Lemmy’s departure from the band, drafting in Robert Calvert as a full-time member, who along with Dave Brock now brought in a more straightforward, streamlined direction to their distinctive space rock sound. The first album of the set, Astounding Sounds, Amazing Music, appeared in 1976, the stripped down and direct sound being noticeable from the start. Reefer Madness kicks things off in fine style, distinctly Hawkwind but with some different touches, such as tinkling piano here and there amongst the expected keyboard sounds, Nik Turner’s sax making its crazed entry towards the end of the song. The second track is Hawkwind favourite Steppenwolf, Calvert’s lyrics to the fore here, the music having a haunting, predatory feel at times. Kerb Crawler starts off with an almost “Glam Rock” feel to the riff, which all amounts to a different sounding band. Overall a good album that at thirty-eight minutes does not overstay it’s welcome. Indeed, all four albums here range between thirty-four and thirty-eight minutes long. Before the next album a dispute with Nik Turner resulted in him leaving the band, some sources claiming he was dismissed for his increasingly erratic stage behaviour, although how much truth there is in this is not really known. Quark, Strangeness and Charm is in my opinion the best album in the set, From the excellent Spirit of the Age, where Calvert’s lyrics tell a fine story, through Damnation Alley and the aptly named title track there is a consistency in quality. We also get the Arabic influenced Hassan I Sabbah. Calvert became rather unstable and quit in 1978, causing Hawkwind to virtually disband. 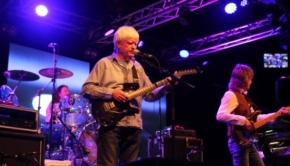 Later Calvert put together the Hawklords to record an album which was abandoned when Calvert got back together with Brock, Martin Griffith, Harvey Bainbridge and Steve Swindells to record 25 Years On. 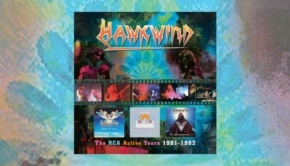 This album was eventually released under the name The Hawklords due to a legal dispute over ownership of the Hawkwind name, again 25 Years On has a much more streamlined sound. The next album, PXR5, was recorded before 25 Years On but was released later in 1979, the sound here has a rockier feel with a punk edge at times, coupled with their signature space rock sound it shows the band attempting to keep up, in some way, with the changing music scene. The opening track Death Trap demonstrates this well, a punk feel to the spacey rhythms which move along at a rapid pace, but put this against the track Robot, with its distinctly Hawkwind pulsating rhythms, and you can see the different approaches. These two albums are a little more patchy than the others included here, there are some great tracks on each but in my opinion Astounding Sounds, Amazing Music and Quark, Strangeness and Charm are the better two due to being more consistent throughout. This box set shows an important part of the seventies Hawkwind story. Is it worth investigating? Well, yes if you are a fan and don’t have the albums. Although aware of the music I did not have these albums in my collection so I am glad that I have had the chance to review this part of their seventies output. 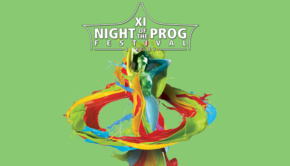 The sound is bright and clear across all four albums thanks to the 24-bit digital mastering by Ben Wiseman. A nicely presented package, despite the lack of some key information.